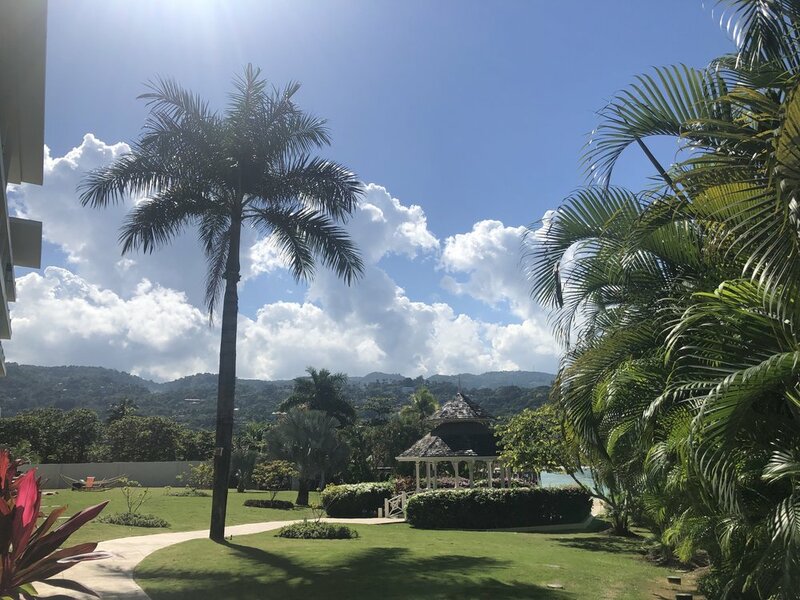 Members of our TWIL team recently returned from a Family Travel focused conference in Jamaica, where they stayed at the Moon Palace Resort in Ocho Rios and spent their days meeting with family focused suppliers and getting the inside scoop on up-and-coming new resort openings and enhancements. Here are some of the key takeaways that our Advisors, Lori Gold and Kim Silvertown learned from their time in Jamaica. Moon Palace Ocho Rios:Smaller than the one in Mexico, but none the lesser. This resort boasts calm waters on a quaint private beach annexed next to a public beach with local sellers. Some feel that watching the cruise ships pass by is an obstruction, others enjoy its beauty. Family friendly with food to satisfy all palates. Lady Hamilton at the Grand Palladium: Beautifully modernized space with an excellent Kid’s Club program (3+ if potty trained). Iberostar Rose Hall Suites: Float down the lazy river, slip and slide at the waterpark, and get cozy with comfortable suites offering pull out sofas and guaranteed connecting rooms. The Finest: Opening in 2020/2021, this all-inclusive will host unbeatable service on a luxurious property. Sandos Caracol: Freshly renovated standard rooms are now reimagined as Eco rooms. 85% complete. Sandos Playacar: Kids only waterpark makes this resort a family vacation winner. Sandos Palm Bay: Opening April 12th, this stunning resort is beyond deluxe – all rooms are oceanfront. Hotel X-Caret: Plenty of connecting rooms make this property family friendly. But, if you are looking for a peaceful retreat, the brand new adults only Casa de le Playa is opening in December. Here, you will stay in a room with an ocean view and access all pools with serene views. The X-Caret is opening a new park at Xoximilco called Xavage in March – we look forward to the reveal. Lopesan Resort Punta Cana: This brand new chain (existent only in Europe) is opening in May. It will be a luxury experience that is unparalleled. Lush greenery, white sand beaches, and turquoise waters come together to create a one of a kind experience. With six freshwater swimming pools, including a two-tiered infinity pool, a kids pool, an adult only area with futons, hammocks, and balinese beds, this resort has a place to unwind for anyone. The Lopesan also hosts The Boulevard: a large entertainment space for all ages equipped with a casino, wellness centre, discotheque, bowling alleys, kids and teens facilities, and shops. Grand Reserve at Paradisus Palma Real: Grand opening of new luxury section with a waterpark. Welcome to play at all three resorts. Separate Kid’s Club age segments: 1-4, 4-12, and teens. Melia Caribe: Opening a new waterpark Feb 19 and all newly renovate. The Atlantis-Reef renovation is well underway and the Royal Tower will be beginning its makeover this year. The rest of the resort is completely revised. Exciting additions in Bermuda: they are opening a new airport, a St. Regis, and a Ritz Carlton Reserve in 2020. Tourists cannot rent cars, only Twizzles – electric vehicle. The beautifully polished Blue Waters in Antigua has 3, 4, and 5 bedroom villas in an all inclusive luxury space.